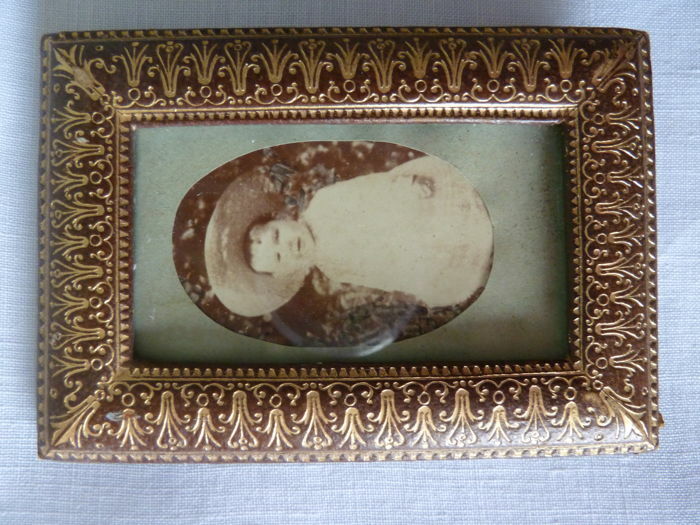 The smallest is a small frame with glass, this frame is made of leather hammered with gold, it contains an old photograph of a little boy 9.5 cm x 6.5 cm. 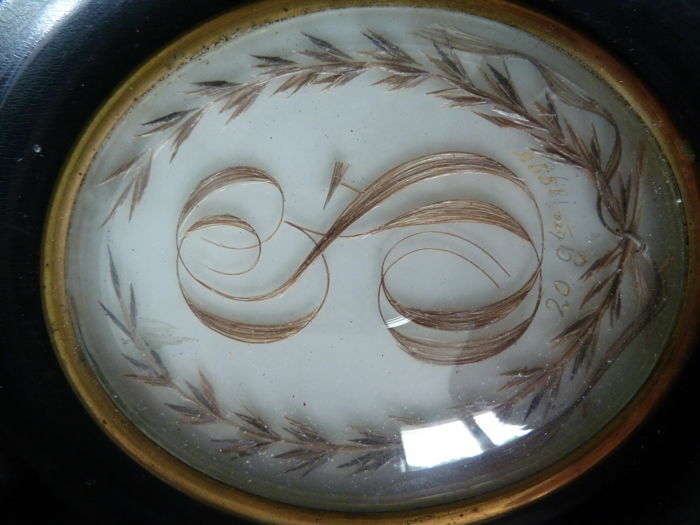 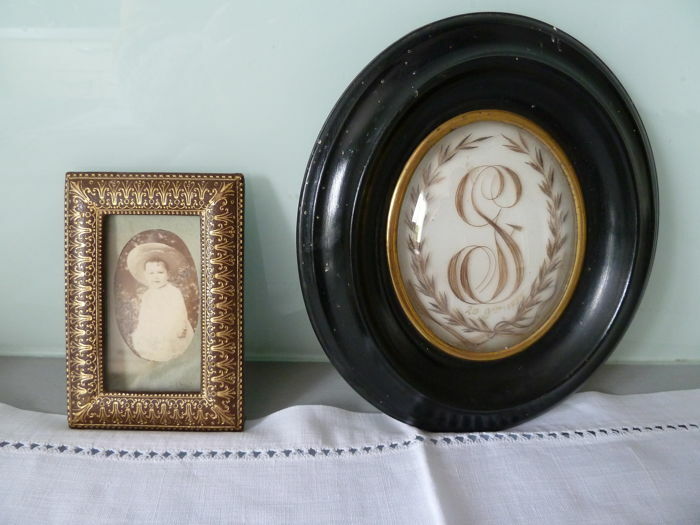 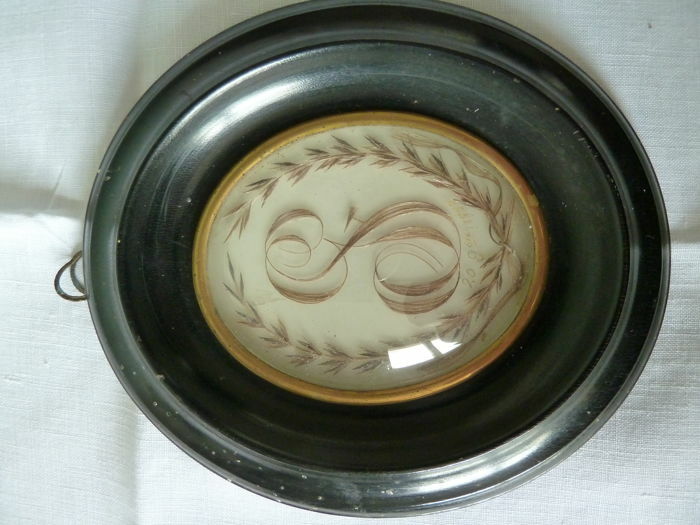 The other one is an oval frame, containing a hair work monogram, this monogram is a G and a S dated 1898. 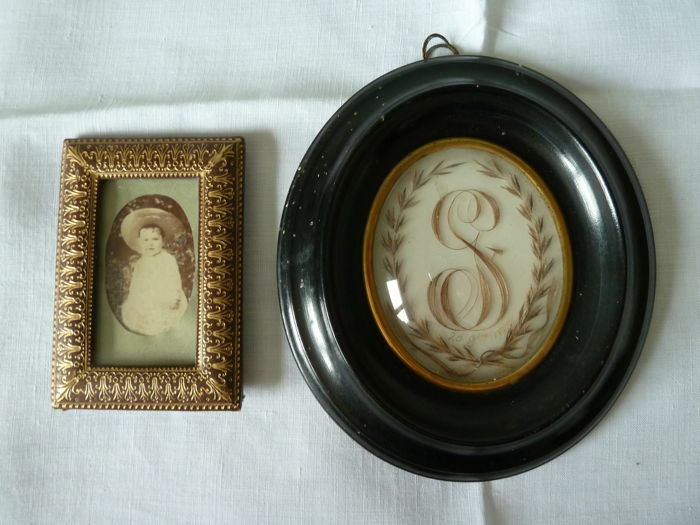 Everything is handmade, size: 14.5 x 13 cm. Carefully packaged and shipped by international post with tracking.